Whiski Jack at Lake Placid Lodge is across the street from the Whistler Creek base of Whistler Mountain. Whistler, a year-round vacation resort destination, is located in the midst of British Columbia's Coast Mountains, 75 miles north of Vancouver. 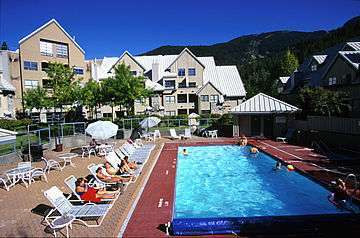 Nearby Whistler Village features a wide selection of restaurants, shopping, and nightlife. Within nine miles you will find five lakes, three championship golf courses, and a multitude of trails for hiking and biking. Resort not in village. There is one parking stall per unit. Parking height restriction is 6'1.